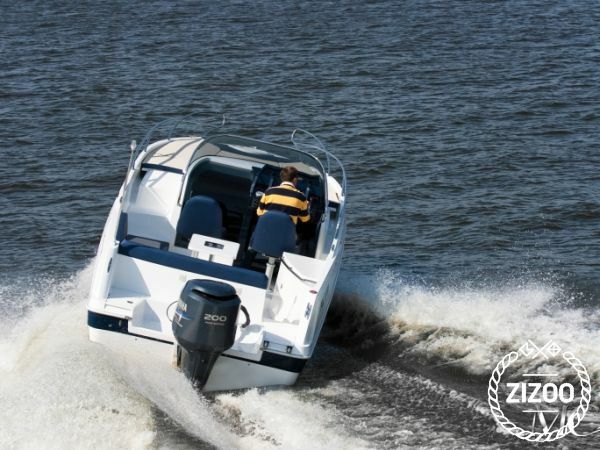 Brand new 2014 Gelon Galia 700 is Galia 630's big sister that offers accommodation. With 2 beds, a small kitchen, toilet and shower, she is ideal for a couple looking for an exciting holiday. Her powerful motor enables doing watersports, and if you need to rent any equipment, just ask your charter staff at Marina Punat where she is based. This is a great location to explore other island in the area, offering loads of amazing places to visit. Cres will inspire you with its unspoilt nature, Rab with its magical Romanesque architecture, and make sure you pop over to Losinj Marine Education Centre where they look after sea life and dolphins that live in these waters. If lady luck is on your side, you might even see some! And as for food spots, ask your charter team to recommend a place they would go to, they will give you a few good tips for sure! They will also provide support during your entire holiday.